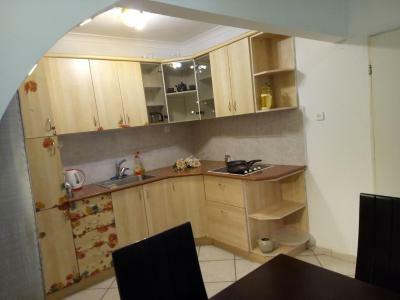 Perfect location to live in Eilat! Very nice and clean place. I have to highlight that the shower was amazing (powerful water stream) which is not common in Israel. We got a bigger room than we expected. So it was quite spacious. Good place for a night or two near the Dead Sea if you have a car and looking for reasonable priced accommodation. WiFi was good. Free car parking on the street by accommodation. 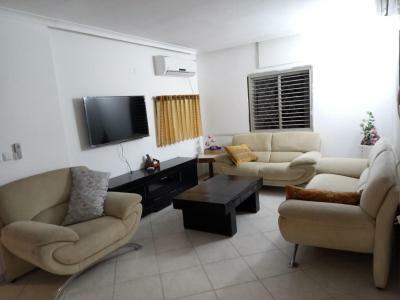 Friendly owner , reasonable price , location is 3 min by car or 15-20 min of walk from the beach. Rather simple, but very comfortable zimmer, with everything I needed. I came to this place to spend a comfortable night before running half marathon in the Desert Challenge festival, and it was just perfect for my purposes: first of all, the location was excellent: it was some 100 meters from the bus stop (I took a bus from Jerusalem to get there) and around 2.5 km from the Desert Challenge festival location, so I could easily walk by foot to the festival. In addition, I found there everything I needed: basic kitchen facilities, comfortable bed, clean toilet and shower. And of course, I am thankful to a friendly and warm stuff, who helped me a lot. If I come again to the Desert Challenge run next year, I have no doubt where to stay a night before! Location, very clean. Very cute. Wish I stayed longer. Easily accommodated an extra guest last minute. Zimmer Dore, I got more when expected, BBQ place was great, 5 minute driving from public beach and I got FREE ticket for chairs and Dead See mud in room, very nice present I didn't expect at all. Place was big enough for 4 ppl, clean, freezer was very good, and washing machine was great bonus we don't expected to get !!! (Pool was missing in place but we knew it's not present...) Price was great, much better comparing to neighbour Zimmer on same street that look similar from outside. We got enough towels and linens were clean inside, TV's and AC's worked well also. Stuff was great, Svetlana was very kind and helped us very fast with few question and requests we had. We'll definitely come back again and will recommend this place for families. 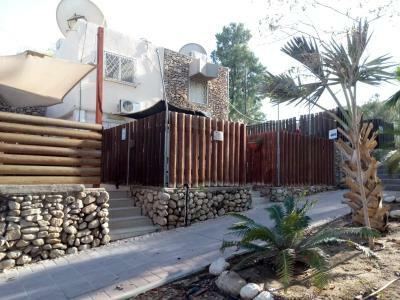 Nice location next to Dead Sea, nice attentive staff, quite clean though pretty dated, good price. 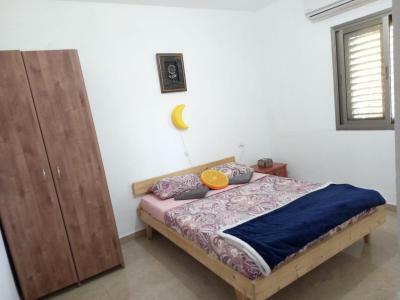 Overlooking the Dead Sea, Zimmer Dora has a quiet location in Neve Zohar. It provides free parking and rooms with free Wi-Fi, a kitchenette and a furnished patio with BBQ. 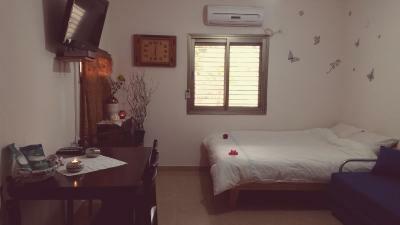 All rooms are air conditioned and come with a sofa and LCD TV with cable channels. Each one has a private bathroom with shower. Zimmer Dora is 1,650 feet from the Dead Sea but there is no swimming in this area. One mile from Zimmer Dora is Hamei Zohar beach, where you can go swimming. The nearest shopping center and public beaches are about 2.5 mi away in Ein Bokek. When would you like to stay at Zimmer Dora? 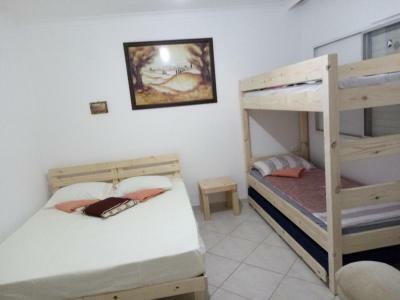 This accommodations consists of a double room, a living room with kitchenette, and a bathroom with shower. Also includes a private patio with BBQ. This room has a kitchenette with dishwasher and a private patio with BBQ. Maximum age of children 12 years. 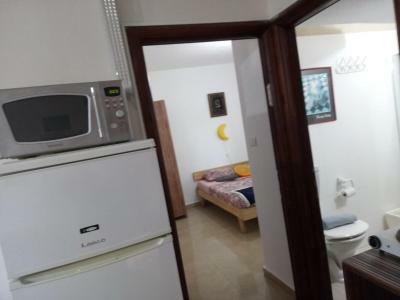 This holiday home features a balcony, microwave and dining area. This family room features a barbecue, cable TV and patio. Free chairs and sunbeds are available for the guests. This apartment has a balcony, kitchen and stovetop. House Rules Zimmer Dora takes special requests – add in the next step! Up to two older children or adults are charged ILS 276.70 per person per night for extra beds. Zimmer Dora accepts these cards and reserves the right to temporarily hold an amount prior to arrival. Please let Zimmer Dora know your expected arrival time in advance. You can use the Special Requests box when booking or contact the property. You are advised to bring your own vehicle as the property is not serviced by public transport. In particular, it is not advisable to walk between the hotels area and the property, especially during the hot months of the year. No coffee/milk, tiny cooking area, tons of bugs (flies, mosquitoes, real fun killers. If there was (though it was never promised!!!) a small kitchen to prepare a breakfast, I would stay there for longer. We did not have a wine opener. The guys that welcomed us was really nice. He gave us some presents that we really appreciated. The room was perfect and everything was cleaned. It's a little bit far from Ein Bokek, where all the restaurants are, but it's only 5 mins drive. The place is a little run down, needs a bit of TLC. 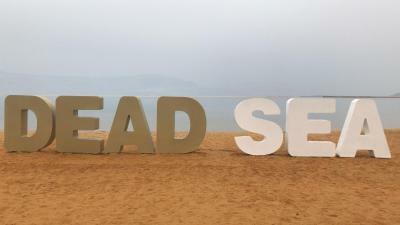 Flat was big, clean and comfortable and a 5min drive to Ein Bokek and the Dead Sea. Location is a bit remote. Offer is limited and therefore everything is very expensive. Nice room with free parking. The floor wasn't clean. There was only 1 blanket for an averagely cold night. Equipment is a bit dated. Cleanliness might be improved. Spacious, comfy beds. Place to sit outside and for the barbecue. This has nothing to do with the property - BUT we strongly advise everyone to PAY the parking fee (ILS 5 / hour) in all the Ein Bokek public parkings. Even you park for a very short period of time, it is enough to get a police ticket for ILS 100! Our only "bad-luck" in a 2 weeks really nice "winter"-vacation in Israel, to the Dead Sea (from Neve Zohar) and to the Red Sea (from Eilat). 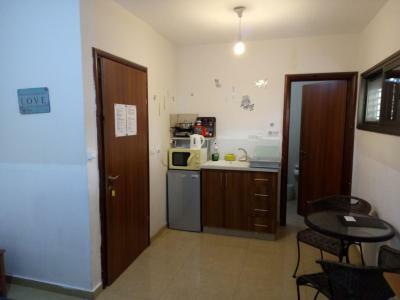 Very nice property in Neve Zohar, which is a quite residential complex. We had a large apartment in villa, with private terrace (with reasonable and funny "public" cats! we really enjoyed their presence!) 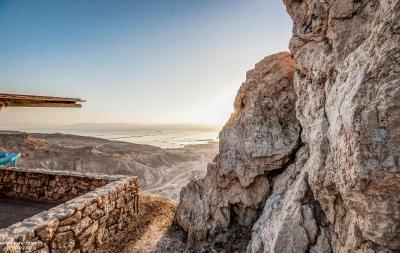 with a view to the Dead Sea. A lot of TV channels. Very good wi-fi. Very useful kitchenette, where we found free coffee, tea and sugar. Mihail, the owner, is very kind (thank you for everything!). We communicate with him very well in English, directly talking or via phone or WhatsApp. Simple check-in and check-out procedures. 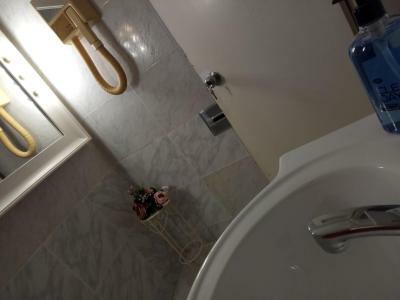 The residential complex is close (2 km, possible also to walk!) to the public beach from Zohar Spa Resort. Mihail gave us free vouchers for sunbeds on that beach. If you plan to stay longer, be careful to bring with you food supplies from cheaper town-supermarkets (Eilat, Arad, etc), as there are no shops in Zohar Spa and all the mini-markets from Ein Bokek are really expensive ones. 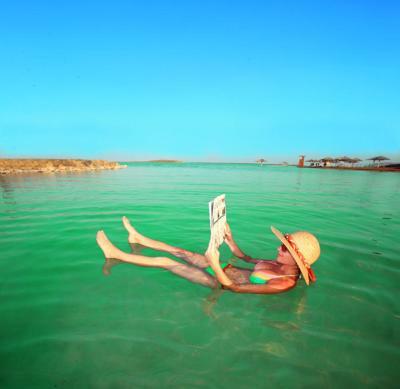 Neve Zohar is conveniently located to explore, by your own car, all the Dead Sea Region (Zohar Fortress, Ein Bokek, Masada Castle, Ein Gedi or even Qumran and the northern beaches from Kalya). We had a very good 1 week vacation at this property, so we strongly recommend it to anyone, for short and long stays.